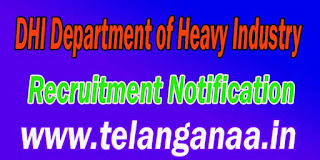 DHI (Department of Heavy Industry) has vrious Graduate and Professional Interns posts Recruitment enabled alerts. All incoming and interested potential candidates can offline Apply or before 29-07-2016 (29 July 2016). 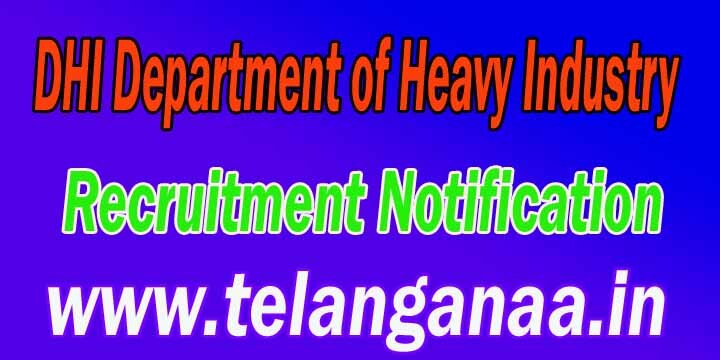 More detailed information on educational qualifications, age limit, selection, examination pattern, syllabus for DHI (Department of Heavy Industry) Recruitment 2016 - vrious Graduate and Professional Interns Post mentioned below. Education - should have candidates performed Graduation degree or an equivalent qualification from a recognized university. How to apply - all coming and interested potential candidates can request form on official website http://dhi.nic.in to download. along with relevant certificates (mentioned in the detailed display) to the address below on or before July 29, 2016 The application form after filling candidate must send hard copy application. The closing date for acceptance of application forms: 29-07-2016.